11 Yorkville is a development proposed for city approval and presented for community consideration. Considerable care has been directed to the architecture of the building, as well as the surrounding public realm. Our proposal has a number of unique features, such as a new public park to be designed with community input. Find out the current status of the project and see what milestones are coming up. Pre-application consultations with City of Toronto. Meeting with current Ward 27 Councillor Kristyn Wong-Tam. Meetings with Bloor-Yorkville BIA and local residents association. Preliminary report to Community Council. Comments received from City of Toronto on development application. Second resubmission of development application. Recommendation report to City Council. Get involved with 11 Yorkville by keeping track of our development applications and community information sessions materials. A comprehensive plan addressing both the Yorkville and Cumberland street frontages and adjacent neighbours. 11 Yorkville is a proposed mixed-use building, including residential and retail designed as 62 floors and 212 metres, featuring 716 units. Another, smaller two-storey retail building has also been proposed for the part of the site that fronts onto Cumberland Avenue. 23% of this site – 740m² will be designated as a public park, which is more than double the City’s requirement. We look forward to collaborating with the community on the design of the park. Metropia, Capital Developments and RioCan Living are highly respected real estate developers committed to enhancing Toronto’s urban landscape through an exciting partnership for 11 Yorkville Avenue. Yorkville Inc., a partnership between Metropia, Capital Developments and RioCan Living, brings together an exceptional combination of industry experts to create a successful, transit-oriented, mixed-use community in a prime location. Together, we have a diverse portfolio of successful and innovative development projects in Toronto and across Canada. Yorkville Inc. is the collaboration of like-minded partners that are committed to working together to develop this site as an iconic and world-class project. Metropia is a privately-owned real estate developer with a focus on community building, urban renewal and design innovation. Our communities offer a wide range of housing options with an emphasis on affordability and responsibility to the environment. 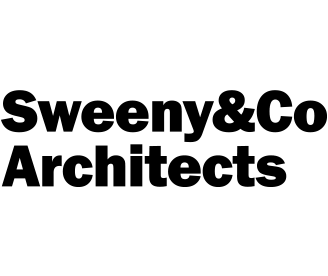 Capital Developments is an industry-leading Canadian real estate company with international roots. Our developments have a history of success in undertaking mixed-use projects with a mission to develop desirable places to live, work and play. RioCan Living is RioCan Real Estate Investment Trust’s residential brand. RioCan Living owns, manages and develops retail-focused, increasingly mixed-use properties located in prime, high-density transit-oriented areas. RioCan Living delivers best in class purpose-built rental units and condos along Canada’s most prominent transit lines. What are you planning for the site? Development partners Metropia, Capital Developments and RioCan Living have proposed a mixed-use development at 11 Yorkville. Characterized by a striking architectural form and conscientious approach to the public realm, the applicants are proposing a 62-storey tower featuring 716 suites. The building will primarily be condominium, but will also include rental units in accordance with the City of Toronto’s rental housing replacement policy. The development will offer a 2-storey podium with retail uses, and the addition of a large public park space. Will the rental units be replaced? The development includes a new urban park space dedicated to the neighbourhood. That’s 740 sq.m. of public park and publicly accessible open space – almost twice the size of Frank Stollery Parkette. We will be commencing a consultation process for the public to engage in the park design. Improving existing pedestrian connections, such as completing the Clock Tower Walkway and Town Hall Walkway. Improving and expanding the underground pedestrian pathway. We’re also paying considerable attention to the architectural detail and design of the proposed building. The intention is for the development to contribute significantly to the neighbourhood’s character. What is the timing for this project? An application for redevelopment was filed with the City of Toronto on March 27, 2018 and the review process has begun. As part of the City’s planning process, community consultations, public meetings, a report from Staff and votes at Council are all part of the lengthy application process still to come. We hope to have a decision by City Council in late 2019.
Who are the consultants on the project? Established by Dermot Sweeny in 1988, Sweeny & Co Architects Inc. is a multi-disciplinary practice whose work centres on driving demand through the creation and execution of highly desirable developments. An award-winning architecture, interior design and planning practice, our firm is recognized for the design of the very successful projects as judged by the developers, owners, occupants, authorities and communities in which they are situated. Bousfields Inc. is one of the pre-eminent community planning firms in Ontario with special expertise in urban design, planning policy, and community engagement. Bousfields offers a full range of land use planning, urban design, and engagement services to the development industry, municipalities, and government agencies. We are landscape architects, urban designers and master planners with a passion for design. We create meaningful spatial experiences that connect people to the places they live, work and play. We connect the systems that impact our everyday well-being: socially, culturally, economically and sustainably. 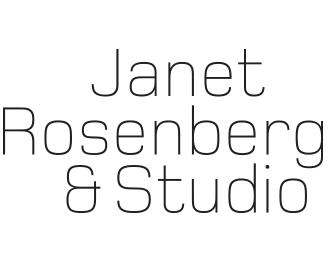 Janet Rosenberg & Studio Inc. is one of Canada’s most distinguished landscape architecture and urban design studios. Drawing from individual strengths, JRS creates treasured, ecologically responsible landscapes that respond to the demands of the urban environment and engage, excite and enhance the quality of life for those who inhabit them. WSP’s Transportation Planning & Advisory Services group offers the planning and engineering services required to develop comprehensive solutions to the full spectrum of transportation challenges. Our firm has extensive technical expertise in transportation planning, traffic engineering, parking policy and design, planning for alternative modes, environmental assessments and preliminary design. Cecconi Simone Inc. is a multi-disciplinary interior-design practice based in Toronto, Canada, privately owned and operated by Elaine Cecconi and Anna Simone. The firm currently employs about 40 professional, technical and administrative staff. Established in 1982, Cecconi Simone has met with continued success, creating award-winning interiors for the retail, corporate, hotel-hospitality and residential sectors in Canada, the United States, Anguilla, Italy, the United Arab Emirates, Qatar, India and China. The firm has designed about seventy-five condominium communities in Toronto alone. Cecconi Simone’s wide-ranging work is central to its “whole design” philosophy; the belief that a cross-pollination of design experience leads to a deeper understanding of how people live their lives and the design needs that arise from those lifestyles. We are interested in engaging with the community throughout this process. 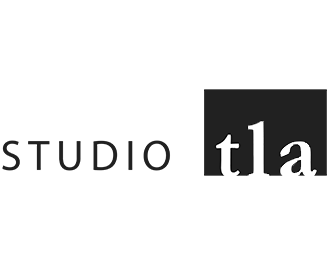 This website is one of the ways that we plan on doing that, and we encourage you to share your comments with us through the form found on the Contact Us page. In addition, the City’s development application process is designed to encourage the public’s participation in the process. All of the public meetings held throughout the approvals process will be listed on this website. Please see our Status page to find out if another public meeting has been scheduled. In the mean time, feel free to contact us with your questions. How many buildings are being proposed? 11-21 Yorkville Avenue: 62-storey mixed-use building (residential) with retail uses on the first two floors. 16-18 Cumberland Avenue: 3-storey commercial building. Will there be retail or other uses? Yes, this is a mixed-use development that features condominium suites, rental units, publicly accessible space and retail uses in the podium level. We’re interested in hearing from you. We believe that consultation is the key to successful projects. Please share your comments with us and we promise to get back to you as soon as possible.